Hello! I hope everyone had a Merry Christmas and were able to enjoy time with your families (and good food too)! I obviously took last week off, but I’m here now and trying to get back into my normal routine. Which really isn’t much different since I’m always baking, but at least I probably won’t be going through as many pounds of sugar and sticks of butter in a week. I think I’ve professed my love of bread before, but in case I haven’t, I ♥love♥ bread. I think if I was told I couldn’t eat bread, I might just die. There is nothing better than a warm slice of bread, slathered in butter. . . total heaven!! 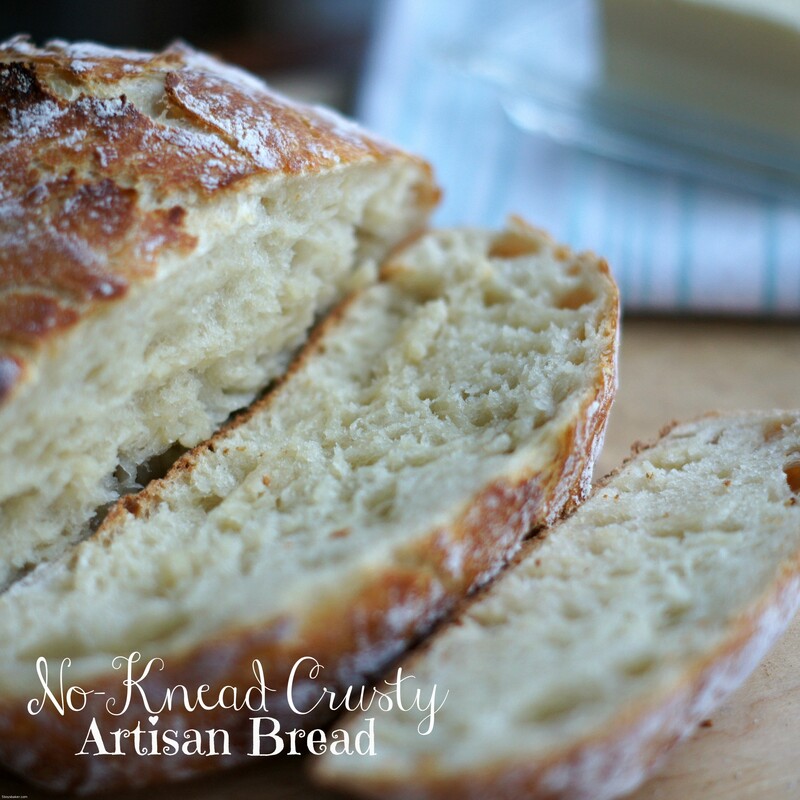 I bookmarked this no-knead crusty artisan bread a long time ago and finally got around to making it a few weeks ago. It’s a shame it took me so long because this bread is freaking delicious and will knock your socks off, honestly it will. I’ve made it about four more times since and am amazed every time at how stinking scrumptious it is. Wanna know the best part? It’s so easy it kind of embarrassing. You’ve got to trust me on this one, it’s easy, easy, peasy! Even if you have a fear of yeast breads and think you can’t make them, you’ve got to try this, anyone can make it. 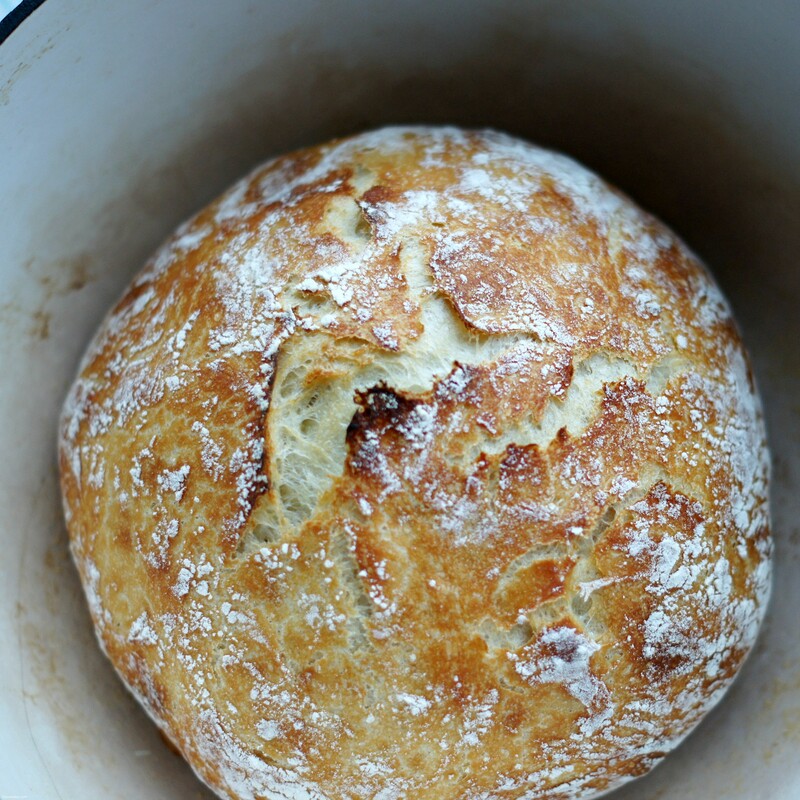 I’m pretty sure something magical happens to this bread while it bakes. I’m also warning you that it’s so addicting, especially warm and fresh out of the oven. I think I inhaled half the loaf the first time I made it. It’s so simple to make and requires only 4 ingredients. You do need to plan ahead because the dough has to set at room temperature for 8-24 hours, but it’s completely worth the wait. 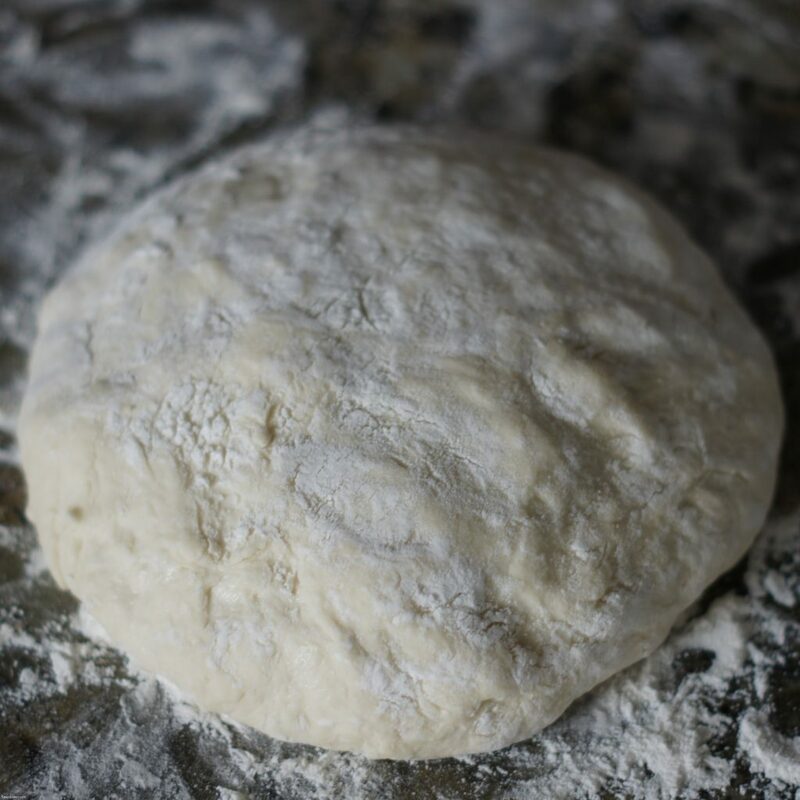 Once it’s risen, plop your dough out onto a well-floured surface. It will be sticky, so flour your hands really well and form it into a round ball. Cover it loosely with plastic wrap while your Dutch oven preheats. Carefully remove your Dutch oven from the oven, and carefully place your dough in and cover it with the lid. Place the pan back into the oven for 30 minutes. Now remove the lid and be amazed at what you see (it’s beautiful!). Put it back in the oven, uncovered and bake an additional 7-15 minutes. The uncovered baking time will depend on your oven. Mine needed about 8-9 minutes to turn that deep golden brown. Watch it carefully. In a large bowl, stir together the flour, salt and yeast. Add the water and stir using a wooden spoon until a "shaggy" mixture forms. Don't over-work the dough. 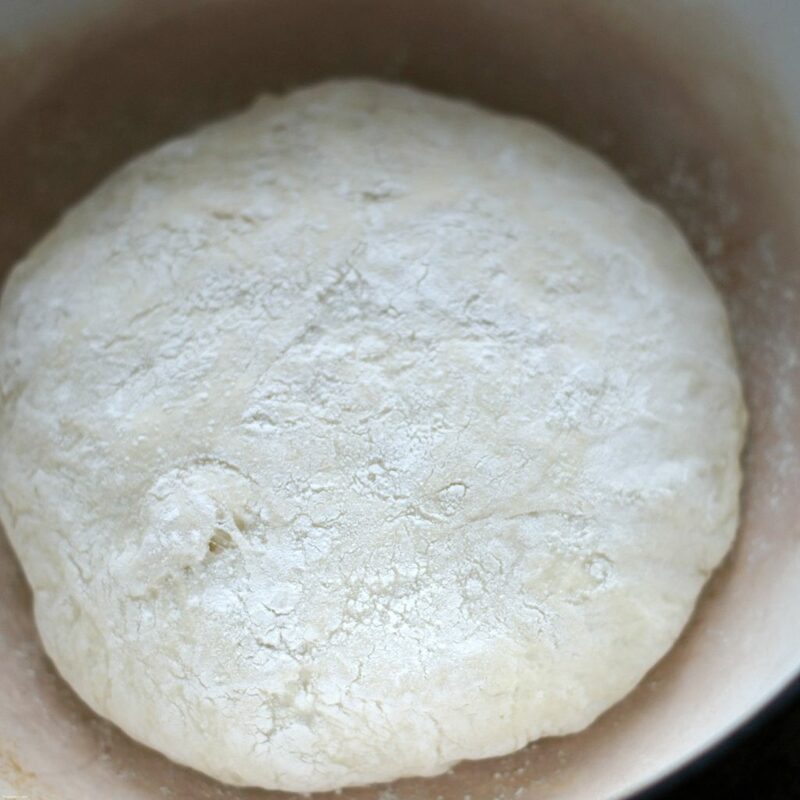 While your Dutch oven preheats, turn dough onto a well-floured surface and, with floured hands, form the dough into a ball. Cover dough loosely with plastic wrap and let rest. Replace lid and bake for 30 minutes covered. Carefully remove lid and bake for 8-15 minutes more, uncovered. Carefully remove bread to a cutting board and slice with a bread knife. Try not to devour the entire loaf. I use a RockCrock for crock pot recipes, but the lid can only stand up to 400 degrees. Do you think my bread would turn out poor if I were to bake it uncovered the whole time? Hey Ashlynn, I would cover it with foil for the time it’s supposed to be covered. Then take it off when you would normally remove the lid. You are going to LOVE this bread! I could eat the entire loaf myself. Enjoy!